The Ohio Constitution of 1803 established the Supreme Court of Ohio. Initially, this court consisted of three justices, who served as the highest legal body in the state. The Ohio legislature initially appointed the justices to the Supreme Court. Plaintiffs and defendants could appeal the decisions of the Court of Common Pleas to the Supreme Court of Ohio. The Ohio Constitution of 1803 also required the justices to hold court in each of Ohio's counties at least once per year. This process became known as "riding the circuit," and the intention was to make sure that all Ohioans had the chance to have their cases heard. Once Ohio became a state in 1803, Samuel Huntington, Return J. Meigs, Jr., and William Sprigg served as the first justices on the Supreme Court of Ohio. In 1804, Huntington became chief justice of the court. Perhaps the most important case to come before the Supreme Court of Ohio in its early years was Rutherford v. M'Fadden (1807). Modeling the state's supreme court after the United States Supreme Court, in this ruling Huntington and his fellow justices determined that the court had the right to declare state laws unconstitutional. This decision placed the court at odds with members of the state legislature, who felt that the court was trying to reduce their power to make laws. In response to the Supreme Court's decision in Rutherford v. M'Fadden, the state legislature sought to impeach two Court of Common Pleas judges for decisions similar to the Rutherford v. M'Fadden case. These impeachment proceedings were ultimately unsuccessful. The two judges, Calvin Pease and George Tod, maintained their positions by a single vote each. Despite the legislature's efforts to weaken the Supreme Court of Ohio, the Rutherford v. M'Fadden decision established the Ohio courts' right to review the constitutionality of legislative and gubernatorial actions. The make up of the Ohio Supreme Court has changed since its creation. In 1851, Ohio voters approved a new state constitution?the Ohio Constitution of 1851. Under this new constitution, five justices now served on the Supreme Court of Ohio. The voters also now elected the justices to their positions, lessening the state legislature's influence over the Supreme Court. 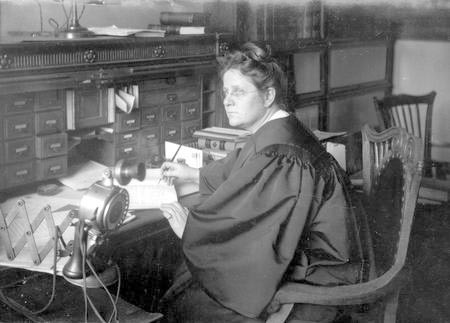 Amendments to the Ohio Constitution in 1912 increased the number of justices to seven and set the justices' terms at six years with the possibility of reelection. Since the constitutional amendments of 1912, no major changes have occurred in the number of justices on and the powers of the Supreme Court of Ohio.